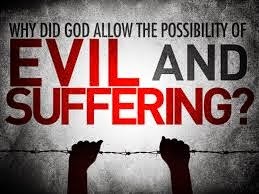 God never promised that we would be exempt from affliction; rather, suffering is part of our lot in a fallen world. However, there is hope because, though He does not always deliver us from suffering, He promises to deliver and transform us through it if we rely on His resources instead of our own. In such times of suffering, we can know for sure that we are not alone. In the midst of our pain, God promises to never leave us or abandon us. Therefore, when we grieve, we do not grieve like the world does; we grieve with hope, knowing that God is often revealed most clearly in the midst of our trials. God will never despise us or hide his face from us. When we cry for help, He will hear and will enable us to endure. The certainty of His companionship in the midst of our afflictions allows us to view them as a means to a greater end. Our suffering is accomplishing something in us, forging within us the character of the One in whose image we are made. Because of Christ, even our catastrophes have purpose. God is preparing our character for the time when we will see Him face to face. When we draw closer to God, we can end up suffering on many levels–physically, mentally, emotionally and spiritually–but suffering in the name of Jesus is a high compliment! In fact, Scripture says, “If you are insulted for the name of Christ, you are blessed, because the Spirit of glory and of God rests upon you.” (1Peter 4:14). Shohoiya Yokowai spent 28 years of his life in prison. It was not a prison of bars & locks & wardens, but a self-imposed prison of fear. He was a Japanese soldier on the island of Guam during WW2. And when the American forces landed, he fled into the jungle & found a cave in which he hid for 28 years because he was afraid of being captured by the Americans. He learned that the war was over by reading one of the thousands of pamphlets dropped into the jungle. But he was afraid. So for 28 years he lived in the cave, coming out only at night to look for roaches & rats & frogs & mangoes on which he survived. Finally some natives found him & convinced him that it would be all right for him to come out of his jungle prison. We think, "What a waste! Imagine, spending 28 years living as a prisoner of fear." Yet, there are a lot of people who are prisoners of fear. Frankly, I can have a long list of different fears that people have. They're not aware of it simply because they call "fear" with a different name. Do you have fear that's preventing God to fully bless your life? Are you trying to control your life instead of letting God have His way?